Truffles: Hey Mommy! 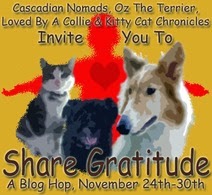 Our friends at Kitty Cat Chronicles, Cascadian Nomads, Oz the Terrier and Loved by a Collie are co-hosting a #ShareGratitude Blog Hop. Can we join in? 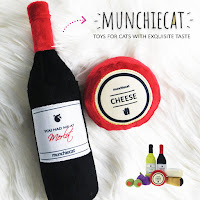 Truffles: ...and their kitties too! 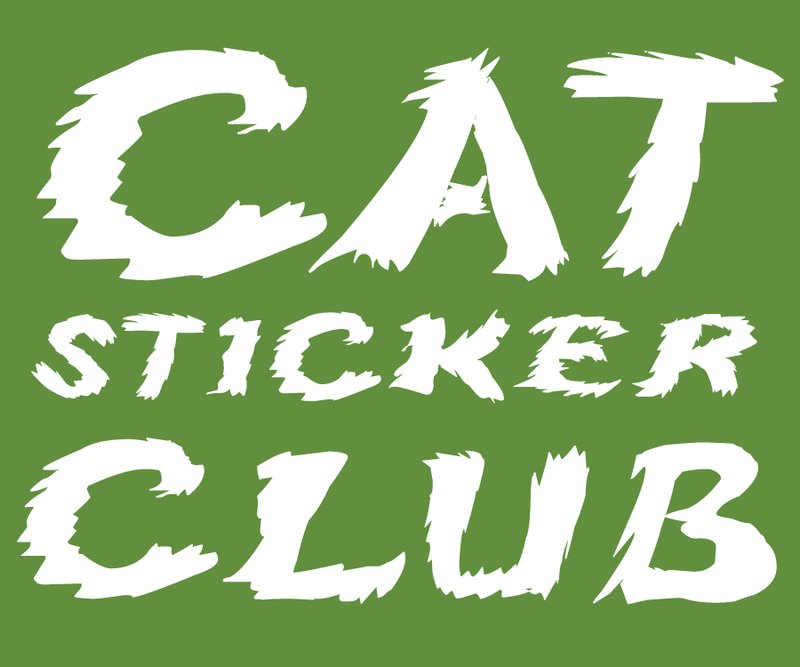 I love my kitty blogger friends. 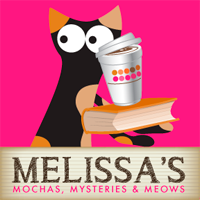 Melissa: Absolutely their kitties too. I'm thankful for cats in general! Truffles: I'm thankful for the nice people who adopt homeless kitties. I love my warm and loving home and wish every kitty could have what I do. Truffles: ...especially my Grandma. She sure was sick this summer. I was so worried about her. Melissa: I was too, honey. Let's pray all that bad stuff is behind her. I'm also thankful for a job that I enjoy. Truffles: Yeah, it pays for the Fancy Feast and treats, too! Melissa: I'm thankful for all of the wonderful books I get to read and review. 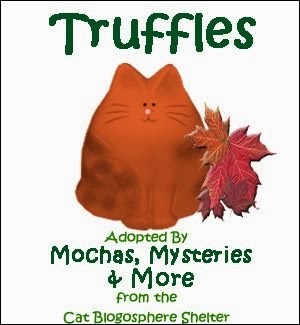 Truffles: And I'm thankful for the yummy treats that I'm asked to review! Truffles: I'm thankful that NASCAR is done for a few months so maybe you can calm down! Melissa: I'm extra thankful for you, sweet girl. As the old saying goes, "When I count my blessings, I count you twice." Truffles: Oh Mommy, I love you so much too. Knowing that out of all the kitties out there you chose me makes me feel like the luckiest cat alive. Melissa: Looks like we have a lot to be thankful for, don't we? Truffles: One more thing. I sure am thankful for that turkey in the oven. Let's eat!!! Happy Thanksgiving from the Horde! 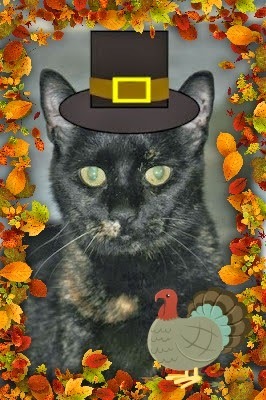 Happy purrs for a purrfect Thanksgiving. We blogged all week about gratitude so we'll join the hop. You certainly look ready to eat some turkey, Truffles! I have never heard "When I count my blessings, I count you twice" before. Thank you so much for that, I love it! Happy, happy Thanksgiving and thanks for joining the Share Gratitude hop. Happy Thanksgiving to you and your Mom! 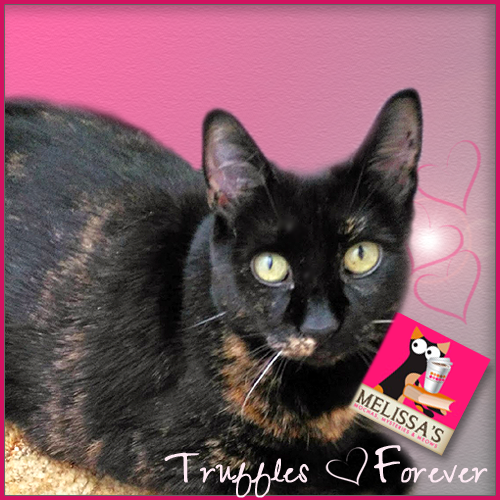 Happy Thanksgiving, Melissa & Truffles! That's a lot to be thankful for, for sure. Very happy Thanksgiving to you and your Mom, Truffles! We are thankful to have you both as friends! We loves you guys <3 We hope you have a wonderful Thanksgiving! Happy Thanksgiving! We are thankful for you our friends! Have a fantastic day! A very Happy Thanksgiving to you guys. 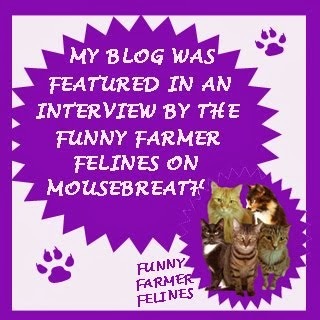 I feel grateful to call you blogging furrends. Um, don’t go getting too sappy on me. Very sweet posty. Happy Fanksgivin'. Truffas você é uma gata de sorte! Happy Thanksgiving from Helen, Fred, and the kitty family. I'm thankful for my husband's help cooking today, my church family and my daughter. What a beautiful Thanksgiving day post. We are thankful you are our friends. Happy Thanksgiving from our family to yours. That's a great list of things to be thankful for! We love you lots, and are so very grateful for you and your friendship. Stopping by to say happy thanksgiving!!!! We are thankful for your friendship! Love, Crepes. SO much to be thankful for :) We wish you both a wonderful Thanksgiving, full of love and happiness. And thank you for supporting our blog hop! We loved this post! We too feel there is so very much to be thankful for - good friends are at the top of that list!